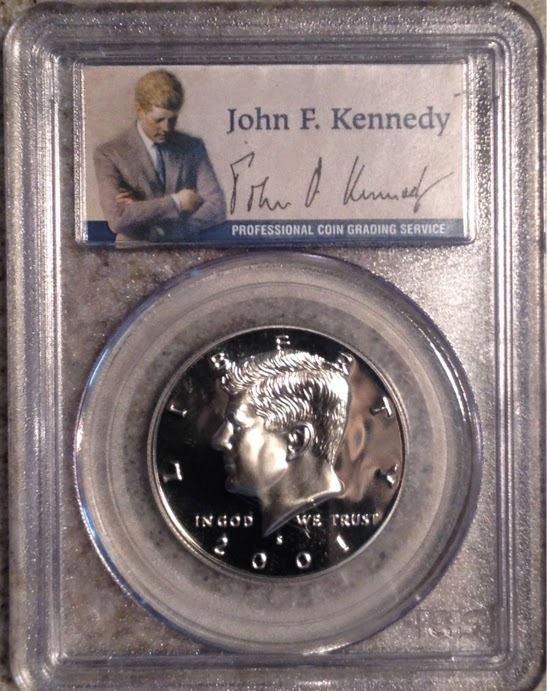 This year is the 50th anniversary of the Kennedy half dollar and their have been intimations that some special Mint issue might mark that occasion. Others have carped that honoring 50 years of a coin is a bit odd - fifty years after his death might have been a more appropriate time. I was in a High School study hall when the news of that terrible day came. We were all stunned and I have never forgotten that or the days that followed. 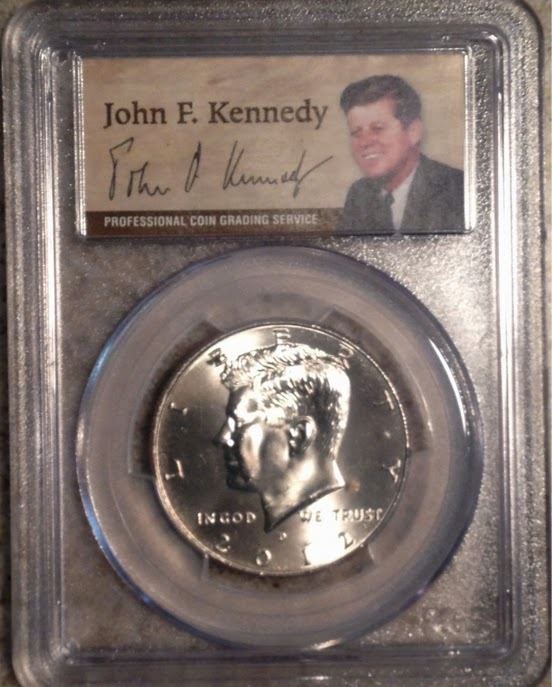 The rumors of a special coin reminded me that I do not have many Kennedy Halves, so I picked up a few on Ebay. These are not expensive items. Well, they can be: the highest price I found on Ebay was just under $25,000 but you can buy them in nice condition for a few dollars more than the price of their silver content alone (that's about $7.00 as I write this) and even Proof examples can be found under $20.00. There were almost 300 million of these minted and almost 4 million in Proof, so they definitely are not rare. Most were saved, few were spent, so these are definitely not "investment" coins. Still, a 50 year special issue might renew interest in the series, so picking up some of the higher grade could pay off. Hmm... my links arent hyperlinked. Where do I turn them on? They just don't, apparently. It's annoying, but it would cut down on spam.